Blazon: A Serpent reversed head reguardant and tail embowed all proper. Link: The letter S was used by the sqn in the 1st WW. 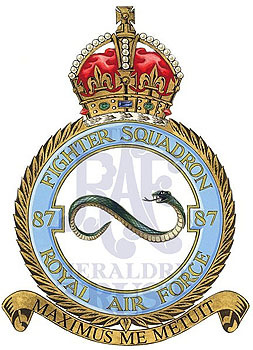 The serpent in this shape has been used in association with the motto to depict the squadron. Sponsored by Mr DG Simmons and dedicated to the Nightfighter Groundcrew.